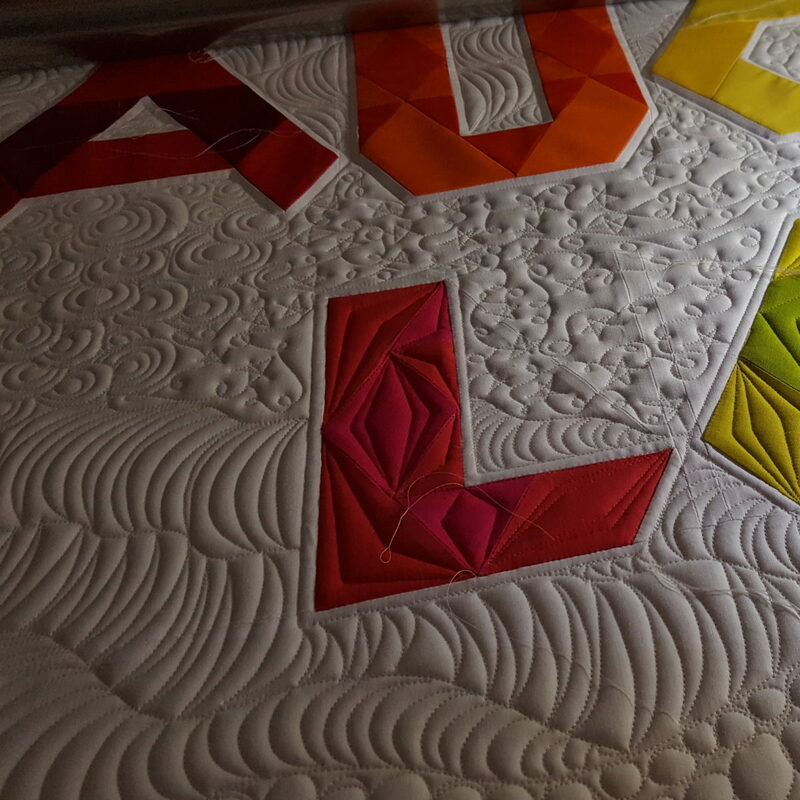 When I was at our guild retreat a few weeks ago I started piecing these letters from the Jaybird Quilts Alphabet Soup book. I got it all finished up after the retreat, and I’m so excited to share it here! 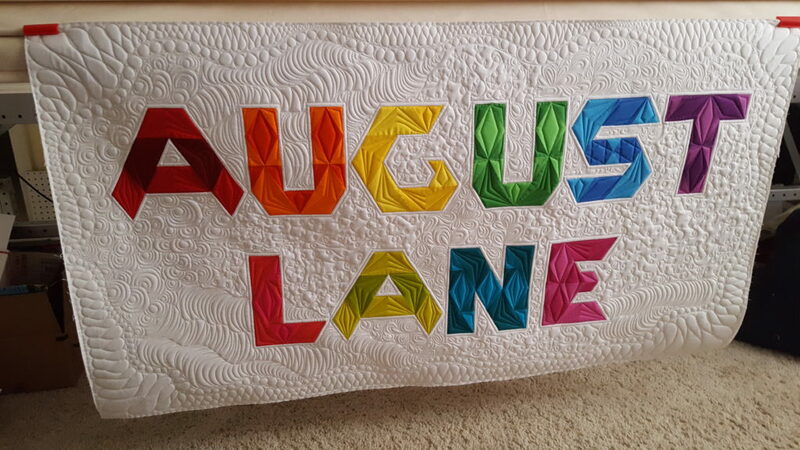 I used rulers for the letters, heavily influenced by Angela Walters and Teresa Silva of Quilting is My Bliss. The background is all free motion quilted in various styles that I got from some books. I love it so much!